Judge: Government Must Identify Thousands More Separated Migrant Kids U.S. District Judge Dana Sabraw's ruling expanded the number of families potentially eligible for relief under a class-action lawsuit challenging the Trump administration's "zero tolerance" policy. U.S. Border Patrol agents take a father and son from Honduras into custody near the U.S.-Mexico border on June 12, 2018 near Mission, Texas. The asylum seekers were then sent to a U.S. Customs and Border Protection processing center for possible separation. A federal judge decided Friday to expand a class action lawsuit to include thousands more migrant families separated at the border before the Trump administration's "zero tolerance" policy was announced in 2018. U.S. District Judge Dana Sabraw's ruling vastly increased the number of people potentially eligible for relief under a lawsuit brought by the American Civil Liberties Union that challenged the legality of the family separations, and banned the practice. On June 26 of last year, Sabraw ordered the government to reunite the affected families. At the time, the government was holding some 2,800 children separated from parents in shelters nationwide. Since the June ruling, immigration officials have reunited nearly all of those children with parents, or released them to relatives or sponsors in the U.S. In his order expanding the class, Sabraw cited a recent report by the inspector general for the U.S. Department of Health and Human Services that found the government had initiated family separations at least a year earlier than the court knew. 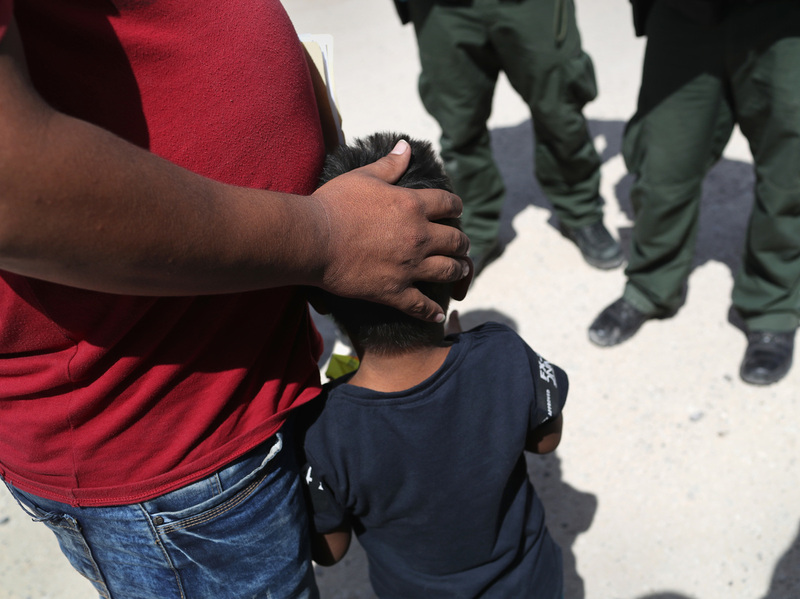 The inspector general said, "thousands of children may have been separated during an influx that began in 2017, before the accounting required by the court." The IG's investigation also revealed that inconsistent record keeping of those separations meant there was no way to know the total number of children separated from a parent or guardian by immigration authorities. Attorneys with the ACLU who represent migrant parents called the OIG's report a bombshell. Late last year they had asked Sabraw to clarify whether families separated before the judge's June injunction should be eligible for the same relief. In his 14-page decision, Sabraw wrote that the parents who had been excluded from the class had experienced the same alleged violation. "Like the current class members, they too were separated from their children," Sabraw wrote. "They were not reunited with their children despite the absence of any finding they were unfit parents or presented a danger to their children." "The court made clear that potentially thousands of children's lives are at stake, and that the Trump administration cannot simply ignore the devastation it has caused," ACLU attorney Lee Gelernt said in a statement in response to Sabraw's ruling. The judge deferred any discussion of what remedy should be offered to the families to future briefings, but at a hearing in February had indicated the first step would be for the government to provide an accounting of the new class members. "So it seems to me if this motion is granted, step one, which is a very significant step, would be the accounting, what are the numbers, who are they, where are they? Step two is the remedy," Sabraw said. "When there is an allegation of wrong on this scale, one of the most fundamental obligations of the law is to bring to light what that wrong was and what is the scope of the wrong." In his order Friday Sabraw defined the additional class members as all migrant families separated between July 1, 2017, and June 25, 2018. During that time a total of 47,083 children passed through the Office of Refugee Resettlement, the agency within the US Health and Human Services that's responsible for the care of migrant children who arrive without a parent or have been separated from them. According to a court filing by the agency's deputy director, Jallyn Sualog, all of those cases would need to be reviewed to identify which children were separated from a parent. The government had argued that the burden was too great and would take too long. "Although the process for identifying newly proposed class members may be burdensome, it clearly can be done," he wrote. Sabraw concluded that the extra effort required to identify the additional children could not be considered "unfair." "The hallmark of a civilized society is measured by how it treats its people and those within its borders," he wrote. The "zero tolerance" policy resulted in widespread criminal prosecution of parents, whose children were taken from them when they were sent to jail, and transferred to government shelters. The policy appears to be the public adoption of family separations that began in the earliest days of the Trump administration. That was not what Sabraw understood when he issued his June 26, 2018 injunction to halt the practice. At a Feb. 21 hearing Sabraw reminded government attorneys that as recently as June 6, 2018, in a motion to dismiss the class action lawsuit on behalf of parents whose children were taken from them, they stated there was no policy or practice of separating families. "That was the government's response, and I accept that that response was made in good faith. But thereafter much has come to light," Sabraw told Deputy Assistant Attorney General Scott Stewart. "What appears to be unknown to everyone here was that ORR had a tremendous spike in the number of unaccompanied children being delivered to them, far before the lawsuit was filed." Also unknown to the court, was that ORR had delivered those children out to sponsors before June 26. Sabraw said his decision to limit reunifications to children still in ORR care on June 26th was based on what he knew at the time. At the Feb. 21 hearing ACLU attorney Lee Gelernt, told the judge he reserved the right to expand the class further if earlier family separations proved unlawful. Immigration officials have long separated children from parents and guardians for cause under an anti-trafficking statute, known as the Trafficking Victims Protection Reauthorization Act (TVPRA). In 2016, however, those separations rarely occurred, according to the IG's report. Children separated from parents made up less than half a percent (0.3 percent) of the children referred to the ORR in 2016, the report noted, but by August of 2017 that number had increased to 3.6 percent. The IG found that the increase resulted from a letter the U.S. Attorney General sent to federal prosecutors in the Spring of 2017, ordering them to prioritize criminal charges for immigration-related offenses. The IG also found that the administration began piloting the "zero tolerance" policy in El Paso, Tx. in July 2017. By December 2017 numerous immigrant advocates alleged a major increase in separations in a complaint filed with the Department of Homeland Security that called for the inspector general of the agency to investigate. The ACLU filed a class action suit challenging the practice in February of 2018. The Trump administration did not announce its "zero tolerance" policy until May of 2018, one month after it had been expanded to the whole southern border.